Climbing it’s a huge passion for me. Even this blog name [es] is directly related to it. Nevertheless I talk here about other stuff, like innovation and design. So, I won’t miss this, I’d say unique, opportunity of showing you this new concept that merge these three matters. 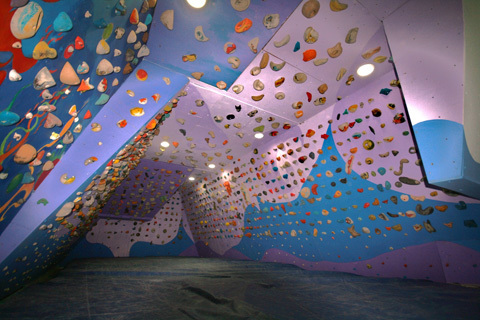 Aesthetics, design and innovation aren’t taken in account in climbing walls or any sports facilities in general. Sport devices are always functionally oriented objects that are hidden away, placed apart of your work or living space. So they are design the way they are. But, what happens when someone try to extract a climbing wall out of the gym, and move it directly to your modern lifestyle space? Lunar Europe has this delightful answer. Bouldering wall picture: cave rock, Tenerife. Categorizado en: Diseño, English, Innovacion, Tecnología, Varios.